This Brakes Plus facility was remodel of an existing gas station facility. The existing canopy and underground tanks were demo'd and removed. The c-store was converted to the sales, offices and inventory areas. 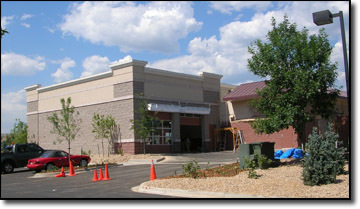 The 7 service bays were constructed in front of the existing building. The tower structure was added to provide visibility to the street as the site was significantly lower.